Originally lodger facility at RAF station. Station from 10.7.1942. transferred to Admiralty on loan. 17.4.1945 and returned to RAF control 17.4.45. (Exchanged for RAF Zeals). The airfield is located 1 mile WNW. of the village of Charlton Horethorne. Small lake, surrounded by a wood directly N. of the airfield. Railway station (GWR) at Milborne Port 5 miles (R) S.
No perimeter track, some tracks connect hangars to technical area. Six double fighter pens, 3 on N. edge of landing Area, 3 on NE corner. Sick Bay in central camp site. RN Auxiliary hospital in Sherborne - 3.5 miles south. Explosives - for 0.5 TBR and 2 FF Squadrons. Formed here 10.02.1944. Moved to RNAS Lee-on-Solent 18.03.1944. Equipped with ? no record of initial equipment issued - Wellington X & XI were used but not until Aug 1944 onwards. Moved here from RNAS Lee-on-Solent 09.10.1943, Moved back to to RNAS Lee-on-Solent 28.11.1944. Equipped with Tiger Moth, Harvard III, Master II, Swordfish II. Formed here 27.7.1942. Moved to RNAS Zeals 01.04.1845. Moved here from RNAS Henstridge 01.12.1943. Disbanded here 30.06.1944. Equipped with Swordfish I & II, Martinet TT.I, Defiant TT.III, Blenheim IV, Spitfire Vb. Moved here from RNAS Hatston 06.04.1943. Moved to RNAS Eglinton 20.06.1943. Equipped with 9 Sea Hurricane IIc. Moved here from RNAS Stretton 01.12.1942. Moved to RNAS St. Merryn 08.01.1943. Equipped with 9 Seafire L.iic. Moved here from RNAS Machrihanish 26.11.1942. Moved to RAF Doncaster 09.12.1942. Equipped with 6 Fulmar II. Moved here from RNAS St. Merryn 10.110.1942. Moved to RAF Old Sarum 09.12.1942. Moved here from RNAS Yeovilton 10.07.1942. Moved to RAF Turnhouse 11.08.1942. Moved here from RNAS Yeovilton 10.07.1942. Moved to RNAS St. Merryn 25.7.1942. Equipped with 6 Sea Hurricane IIb. Equipped with 6 Martlet II. Moved here from RNAS Stretton 11.01.1943. Moved to RNAS Lee-on-Solent 22.03.1943. The airfield was built a secret Relief Landing Ground (RLG) for RAF Exeter and great trouble was taken to ensure its identity was not revealed both during, and after, construction. Hedge rows, pathe and ditches were replaced to help camouflage the site. The three living quarters sites were widely dispersed and heavily camouflaged, there were no dispersal areas or hangars on the original site, and no runways were laid, the landing area was an irregular grass surface. By the time the airfield opened at the end of May 1942 the need for a secret RLG had passed and the station was offered to the Admiralty on loan. The Fleet Air Arm was granted lodger unit status from July and the first two squadrons ,886 & 887 Fleet Fighter squadrons, arrived from RNAS Yeovilton on July 10th, each equipped with 6 Fulmar Mk.II, possibly to make space at Yeovilton for other squadrons, but also to receive further training. Neither stayed long, 887 moved to RNAS St. Merryn on July 25th while 886 moved to RAF Turnhouse on August 11th. No. 790 Fighter Direction Training Squadron wasformed at Charlton Horethorne on July 27th 1942 as part of the Fighter Direction School based at RNAS Yeovilton. The squadron operated aircraft for trainee fighter directors to control and vector during training; Oxfords (as simulated enemy bombers) and Fulmars (as the friendly Fighters); it was to be the stations main resident flying unit. Next to arrive was another fighter squadron, 891 moved here from RNAS Lee-on-Solent with 6 Sea Hurricane IIb on August 11th, replacing 886. After a month spent on interception training the squadron moved to RNAS St. Merryn on September 9th. Two days later 893 arrived with 6 Martlet II fighters from RNAS St. Merryn, again for a month’s interception training before departing for RNAS Hatston on October 6th. More Fulmars arrived on October 10th when 879 squadron began their interception training and work-up on the 10th after forming up at RNAS St. Merryn at the start of the month with 6 aircraft. A further 6 Fulmars arrived on November 26th, 809 squadron having moved from RNAS Machrihanish , their stay was only short however; they departed for RAF Doncaster on December 9th. 879 departed for RAF Old Sarum the same day. On December 1st 808 Squadron moved here from RNAS Stretton with 9 Seafire L.IIc, they were joined by 895 Squadron with 6 Sea Hurricane Ib, which arrived from RNAS Stretton on New Year’s Eve 1942. On taking over Charlton Horethorne the RN began improving the very primitive facilities on airfield, hangars were erected and a control tower was built to replace the original watch house. Additional hangars and storage area were added for the use of No. 2 Seafire Servicing Unit, the stations only resident support unit. No. 808 squadron departed to RNAS St. Merryn on January 8th and were soon replaced by the 6 Fulmar IIs of 897 Squadron which arrived from RNAS Stretton on the 11th. 895 completed their training and moved to RNAS Lee-on-Solent on February 23rd, 897 followed them a month later on March 23rd. One final fighter squadron arrived on April 6th when the 9 Sea Hurricane IIc of 804 squadron arrived from RNAS Hatston; they departed for RNAS Eglinton on June 20th 1943, leaving only 790 squadron the station. Towards the end of 1943 more training squadrons arrived; 760 Pilot Training Squadron arrived from RNAS Lee-on-Solent on October 9th operating a collection of with Tiger Moth, Harvard III, Master II, and Swordfish II. No. On December 1st 794 Air Towed Target Unit retransferred from RNAS Henstridge with their Swordfish, Martinet, Defiant, Blenheim, and Spitfire Vb aircraft; they had been operating with the No. 1 Naval Air Fighter School at Yeovilton since 1940. No. 765 squadron (Travelling Recording Unit) was formed here on February 10th 1944, and was to be equipped with a small number of Wellingtons; it is not clear if any aircraft were received at Charlton Horethorne, or if the field could handle the bombers. 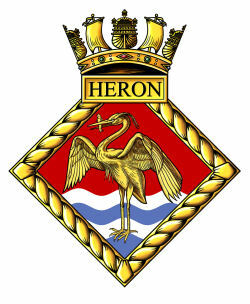 The squadron moved to RNAS Lee-on-Solent on March 18th. During the remainder of 1944 the training role was scaled back; 794 disbanded here on June 30th and 780 returned to RNAS Lee-on-Solent on November 28th leaving only the original squadron, 790 in residence. In the spring of 1945 the Admiralty agreed to exchange Charlton Horethorne for the RAF field at Zeals in Wiltshire and 790 squadron relocated to this station on April 1st 1945. RNAS Charlton Horethorne was paid off on April 17th 1945 and returned to RAF custody.